With many years’ development and industry experience, Caesar now has a great many of satisfied and repeat customers who has applied our Automatic door systems from more than 40 countries on five continents. Automatic doors are more and more widely used nowadays no matter for commercial or residential. One research conducted by AAADM proves that 98.9% of consumers prefer automatic doors, for they provide easier and more convenient access than manual doors. Consumers expect to see automatic doors at hospitals, airports, hotels/motels, shopping mall entrances and retail stores. Caesar products have been very popular in world market for the high technology and quality, especially in Europe and Asia. European manufacture has a long history and is famous for the rigorous process, great material and high technology. Also for the high living standard, they have high requirement for automatic door performance, particularly in safety and functionality. Caesar automatic door has been manufacturing strictly according to European standard, emphasize products quality and performance, and put safety in the very important place, which is coordinate with European requirement. 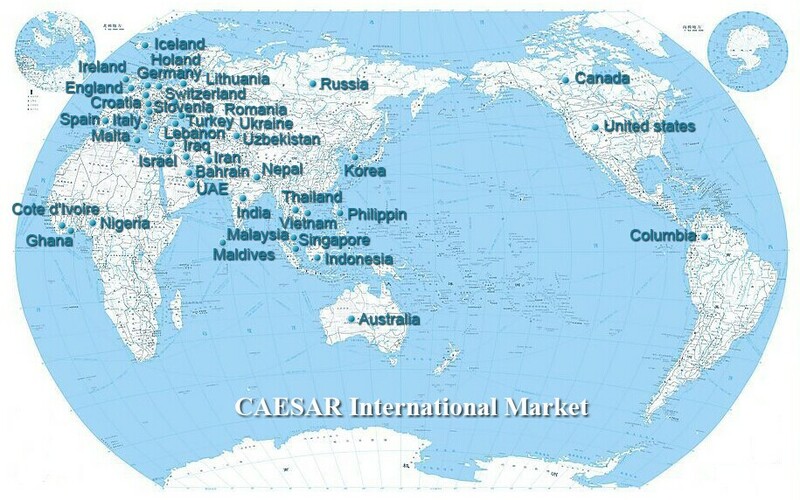 While the price is competitive in European market, thus more and more customers choose Caesar. Apart from those traditional developed countries, more and more emerging nations which now are not only focus on the price, but also have higher requirement for products performance and design, especially for end users. Caesar professional team provides overseas customers not only just operators, but full automatic door solutions from design, produce and final assemble.